Open to all baseball players (K-8th Grade). 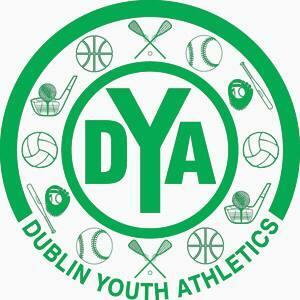 The purpose of the Dublin Baseball Academy is to inspire and instruct young athletes with an interest in advancing their baseball knowledge and skills to the next level. Participants will be taught the fundamental mechanics of fielding, throwing, hitting, and pitching. In addition, participants will learn the proper way to warm up, condition, and warm down. These skills will be emphasized through repetition with quality instruction. Cost of registration is $125 for baseball participants. The $125 includes five group lessons and one private lesson and 25 batting tokens at Mannino’s Grand Slam. There's also an option to purchase an additional private lessons and 25 tokens for $50. The program will be held on the following dates: Sessions are November 11, 18, and December 2, 9 and 16. Group sessions are 90 minutes and private lessons are 30 minutes. Times will be based upon age of registrant and announced later; however, all sessions will be between the hours of 3:00 - 7:30 pm. The group sessions will have smaller class sizes this year.